All Models of Discovery SeriesNeck JointDovetailNeck WoodMahoganyFretboardIndonesian RosewoodScale Length (in inches)25 1/2"Nut SaddleGraphiteCaseStandard GigbagCrafted InDesigned, engineered, and quality-controlled in Bend, Oregon, U.S.A. Crafted in China. New for 2019, but available now, we're proud to introduce the larger bodied Concerto to the Discovery Series lineup. 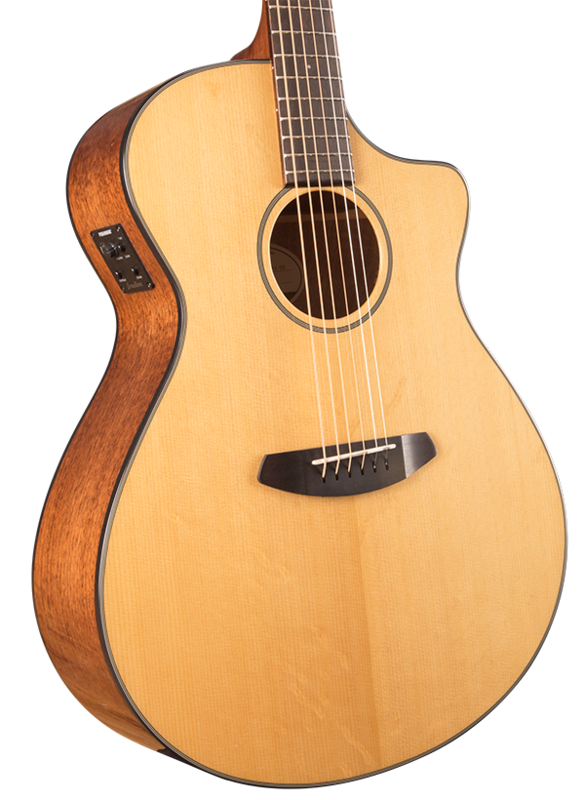 Based on the ever-popular Discovery Concert platform, this larger body guitar is bold, beautiful and balanced with a Sitka spruce top and mahogany back and sides, but with additional sound and projection from the Concerto body. Ideal for a player looking for a big body sound with more tonal complexity and comfortable playing experience, this acoustic-electriccan be plugged in using the popular Fishman Presys I electronic.